Capacity 646 cc / 39.4 cub in. None or Plunger-type, with shock and rebound springs, undamped. Front Brakes Drum, 8 in. Rear Brakes Drum, 7 in. Rear Tyre 4.00 x 19 in. Length: 2100 mm / 84.0 in. Wheelbase 1391 mm / 54.75 in. Standing Quarter Mile (400 m) 16 sec. The A10 had a reputation for reliability but was struggling to compete against the Triumph engines and the Norton Featherbed frames. Advertised by BSA in 1954 as 'undoubtedly the worlds greatest motorcycle' the Road Rocket was discontinued in 1958 when it was replaced by the BSA Super Rocket. 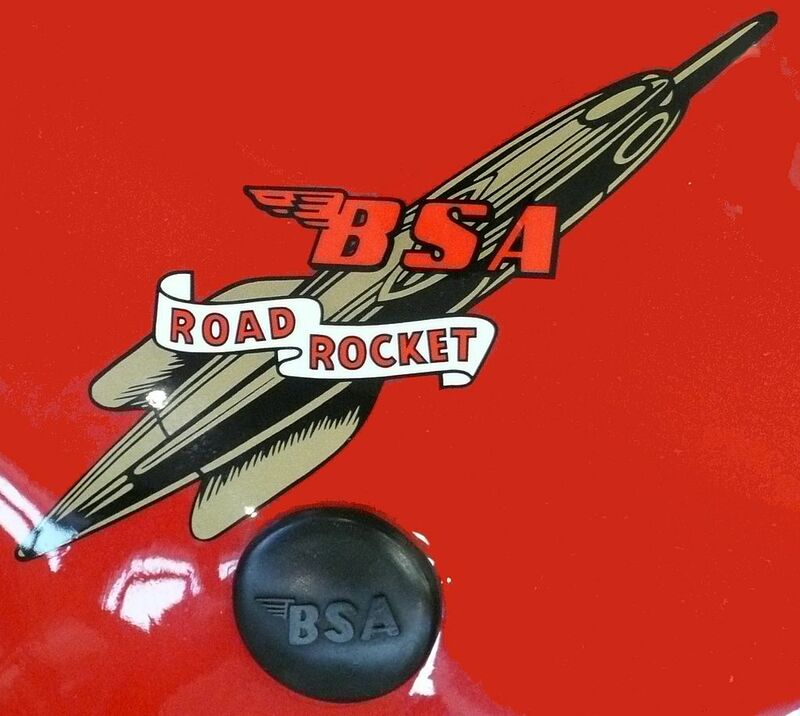 Launched as the top of BSA's range in 1954 the BSA Road Rocket had an A10 engine with an alloy cylinder head, high compression pistons and a high lift camshaft, giving 40 bhp (30 kW) and a top speed of 109 mph (175 km/h).